Have you searching for How to Delete Instagram Account, but didn’t know How to Delete your account? If yes, then you are at right place. In this article i am going to show you, How to Delete Instagram account or Disable Instagram account permanently. 3 How to Delete Instagram account? 4 How to Temporarily Disable Your Instagram account? 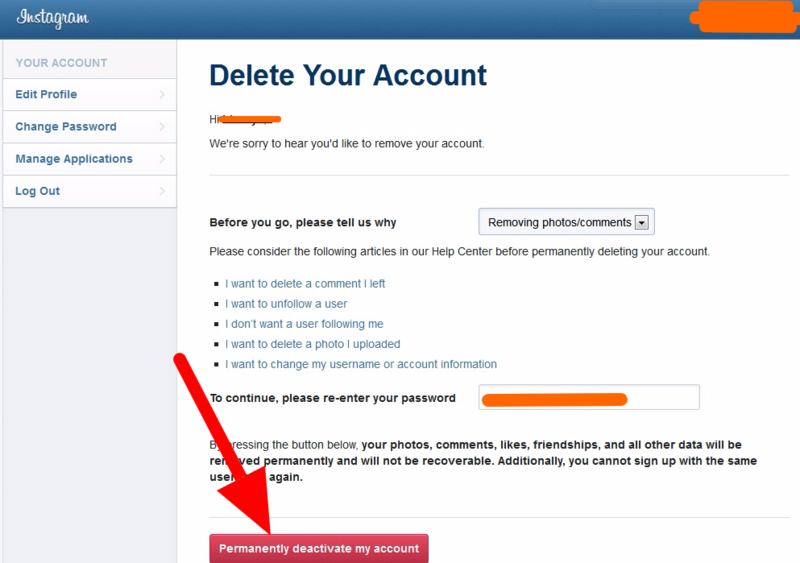 In delete option, after delete Instagram account you will not able to again login into your account. That means you Delete Instagram account permanently. Once you delete, you are not able to reopen your Instagram account. In this option, Once you disable Instagram account, you can reopen or re-login after some time and you can access your previous details. So let’s start the steps without wasting time. 1. 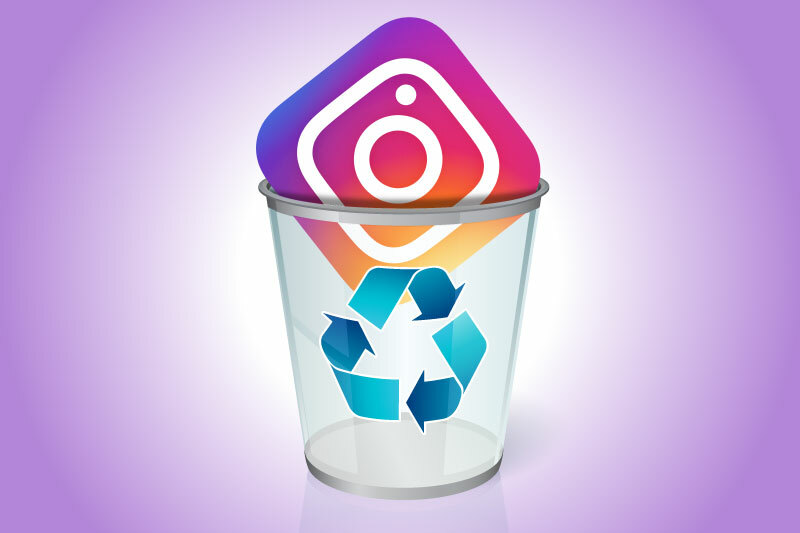 Click Here to visit Instagram account delete Process page. 2. Login to your Instagram account. 3. In next page, select the reason why you want to delete Instagram account. 4. Now re-enter your password and click on the red button “Permanently Delete My Account”. 5. Voila!! You successful delete your Instagram account. 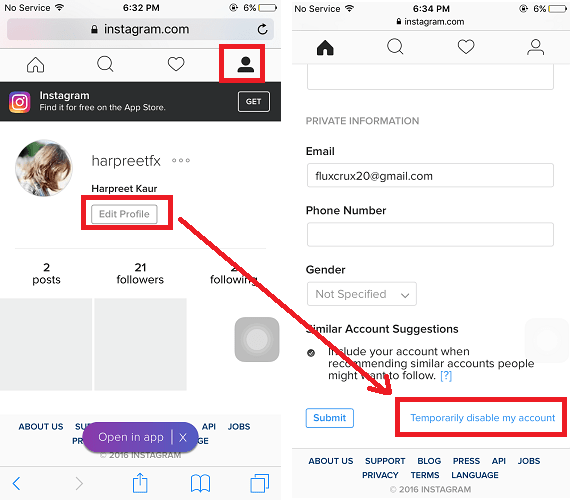 How to Temporarily Disable Your Instagram account? In this method. you can disable your Instagram account temporary. Follow steps to disable your Instagram account. 1. First of all, Log in to your Instagram account from your PC(Using app It’s not possible). 2. After Login, Click on the “Edit Profile” option. 3. Now scroll down, you will find option of “Temporarily disable my account”. Select it. 4. After that, select “Why are you disabling your account?” from drop-down list. 5. Now, enter your password again to confirm deactivation your Instagram account. 6. After that, click on “Temporarily disable account”. 7. That’s it. You successful disable your Instagram account. All Done, Guys! These methods which you can use to Disable your Instagram account and Delete your Instagram account. If you fetch any problems while processing, then comment below. We will trying to solve as soon as possible. Subscribe our news latter to upcoming tech updates and guides. hi, Simran. Really Great Article .Thanks for sharing, it is very helpful.